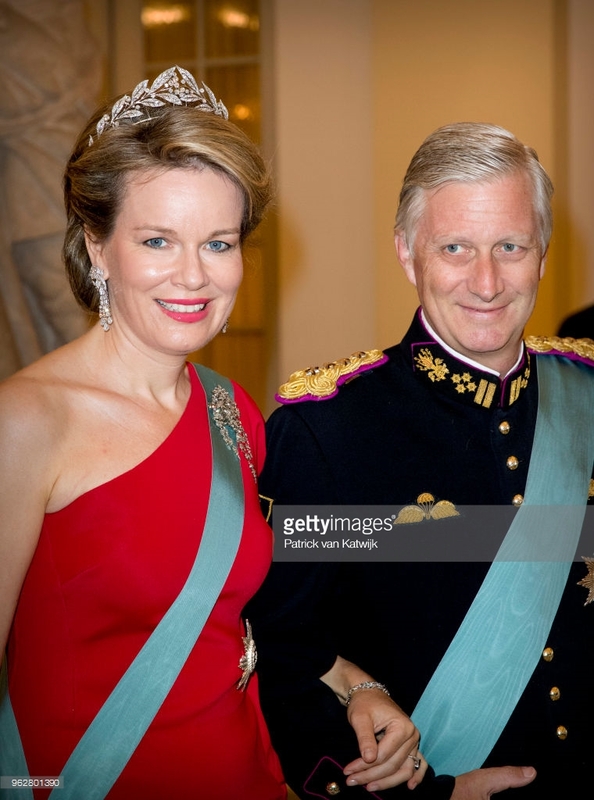 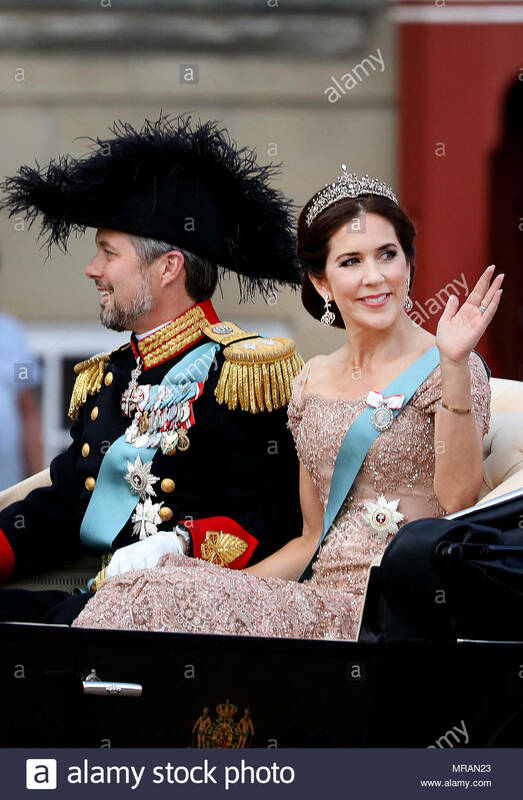 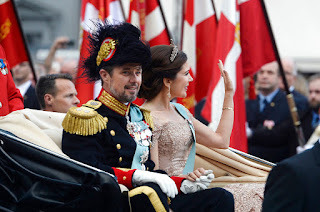 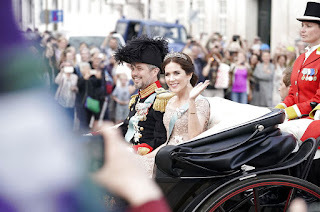 King Philippe & queen Mathilde will spend the weekend in Copenhagen to celebrate crown prince Frederik of Denmark's 50th birthday, in the company of other royals. 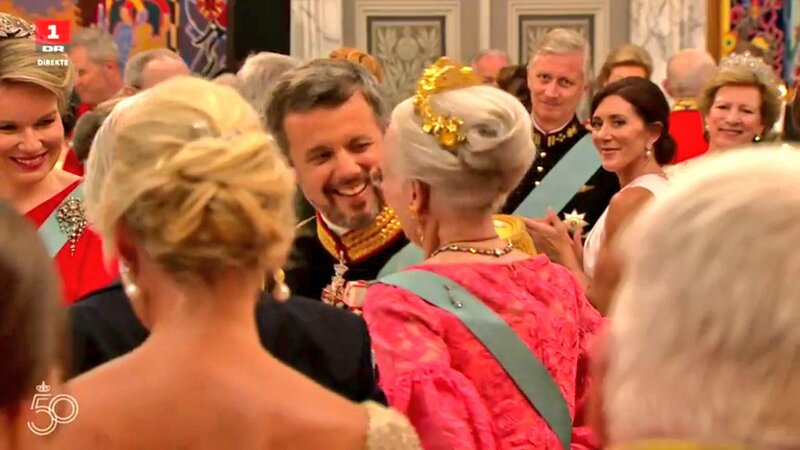 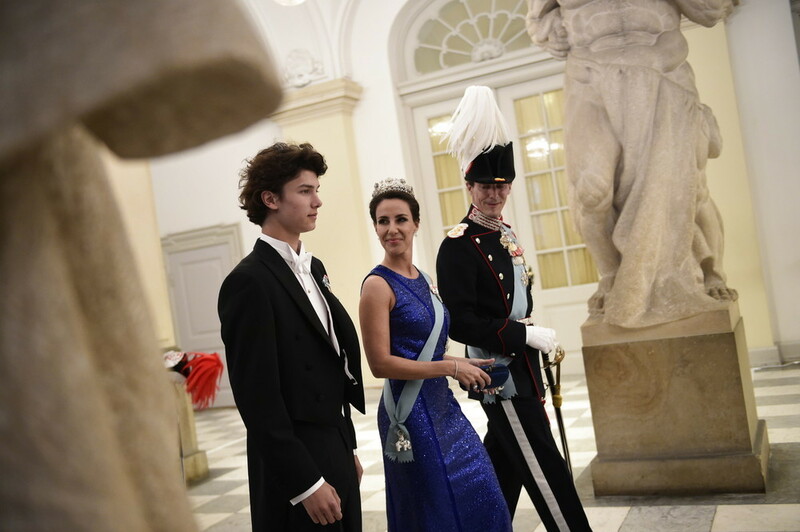 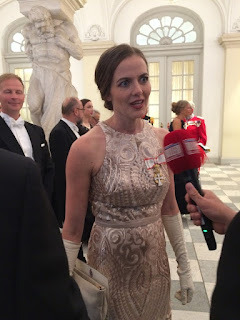 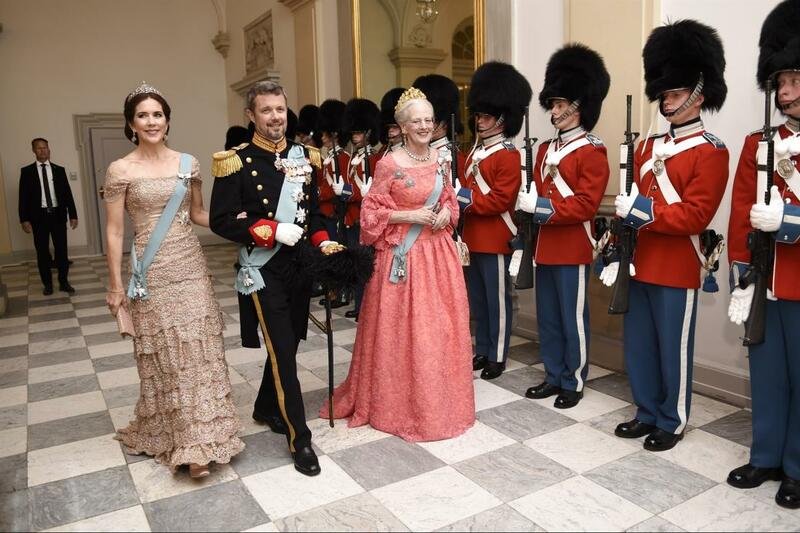 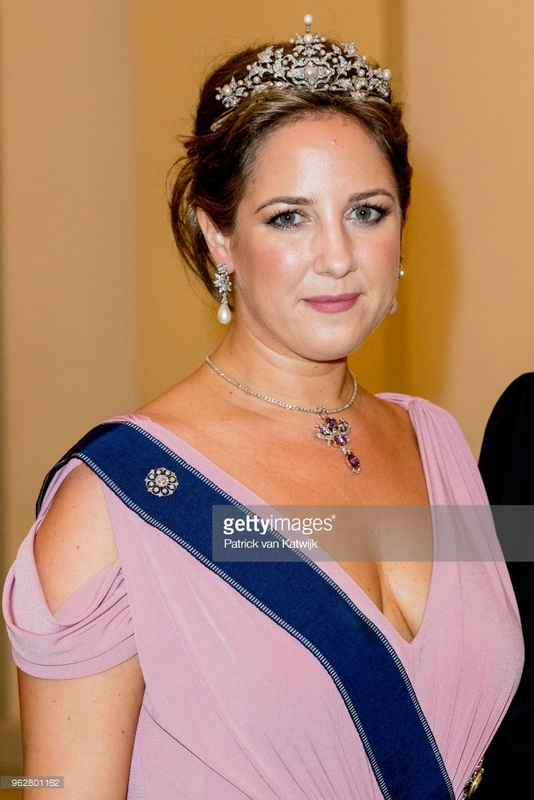 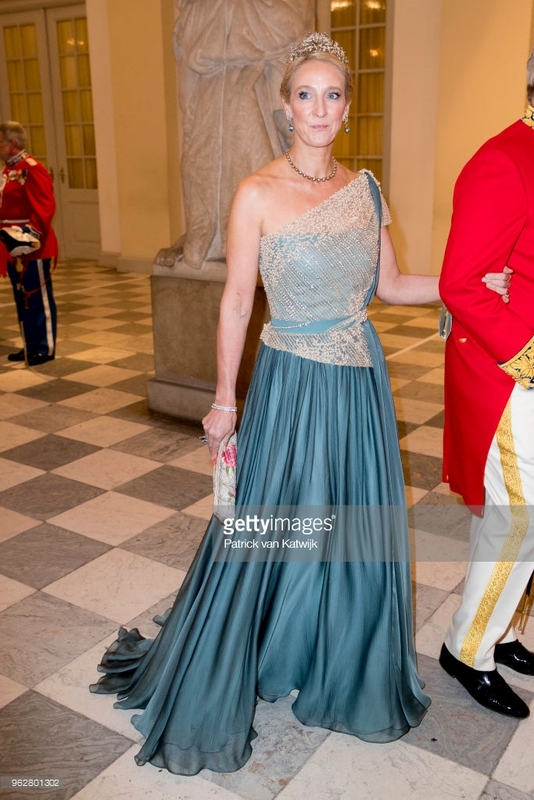 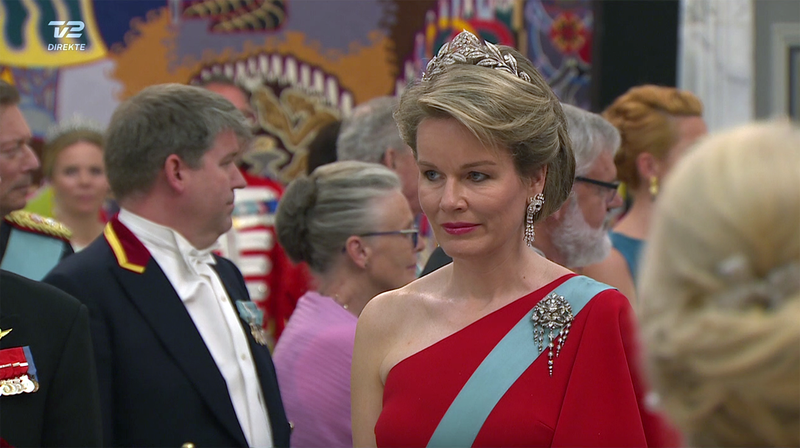 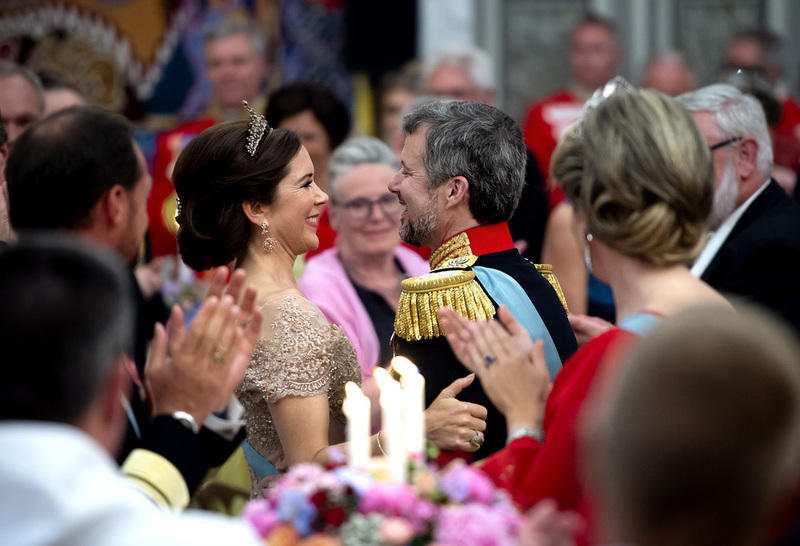 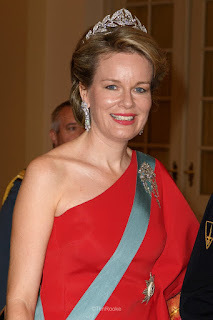 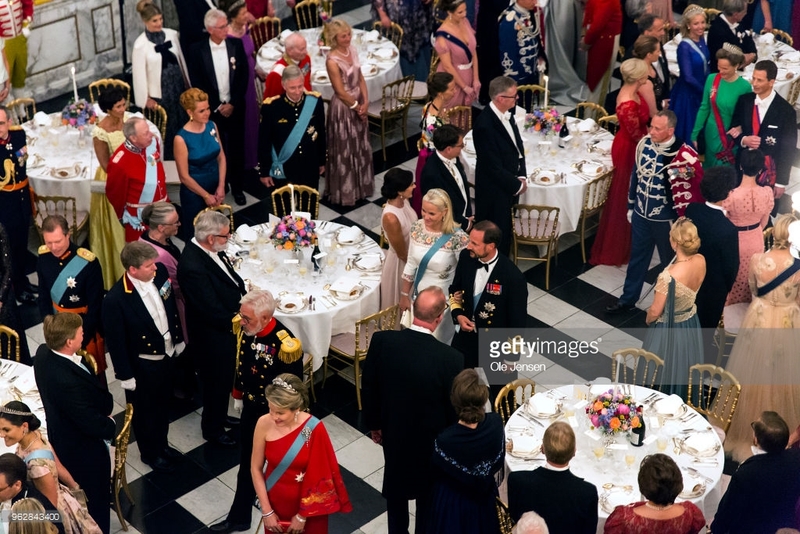 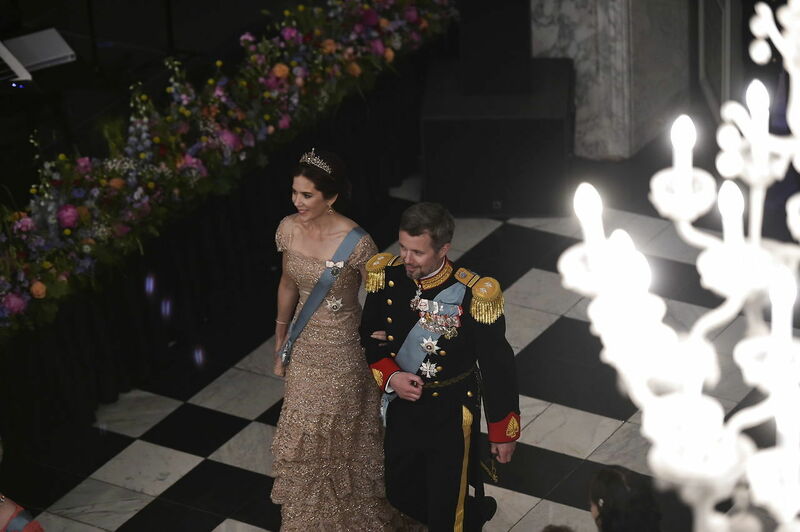 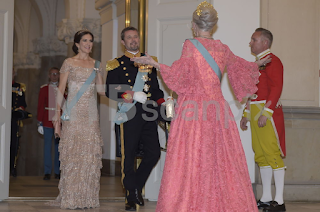 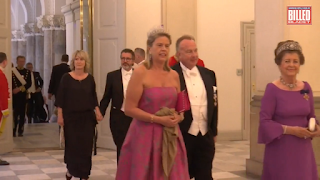 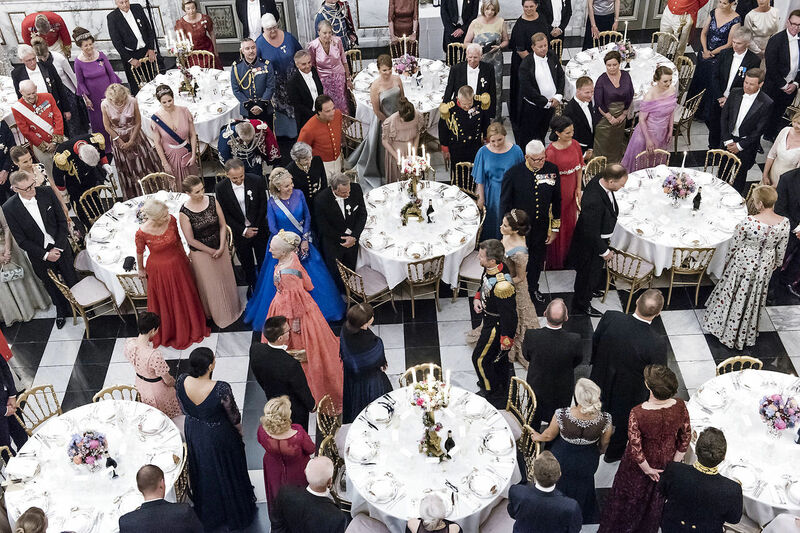 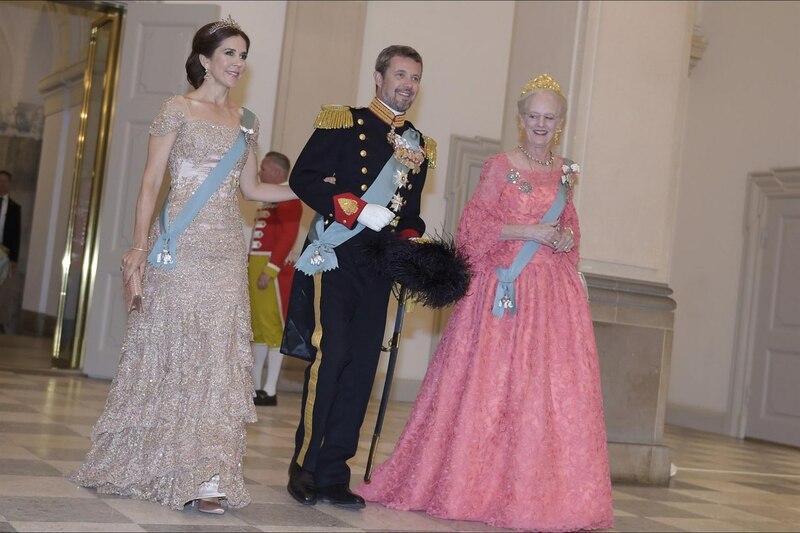 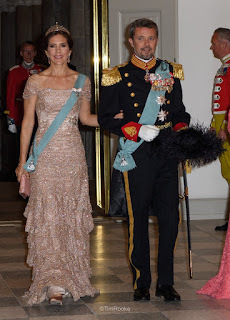 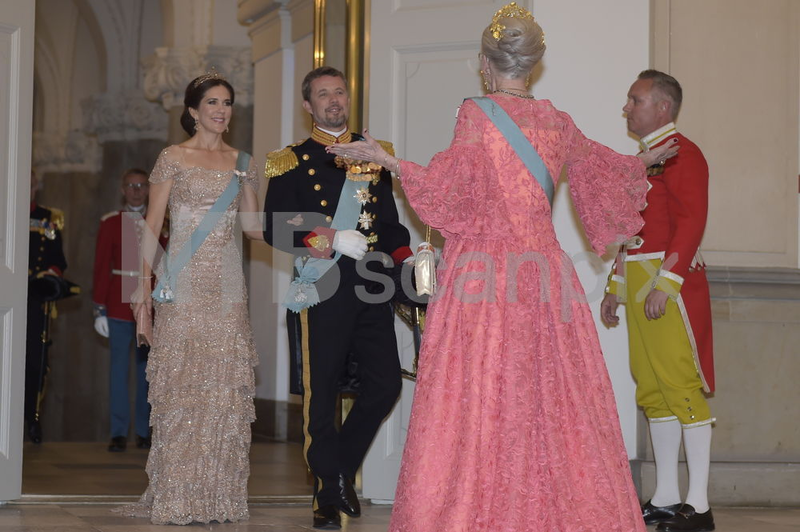 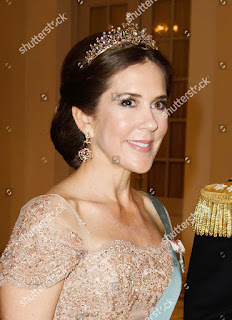 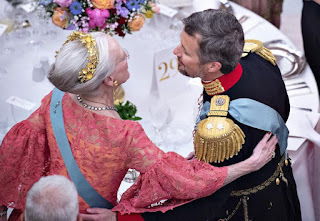 Gala dinner and dance for crown prince Frederik at Christianborg Slot in Copenhagen. 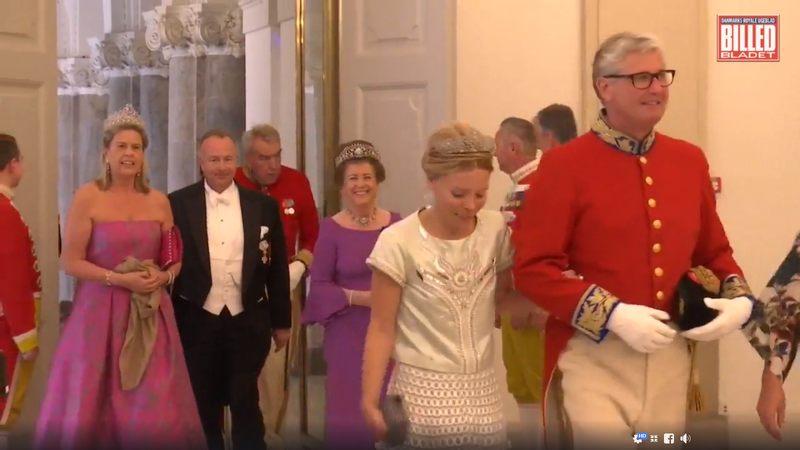 Malou & Jørgen Skeel, followed by lensgrevinde Britta Ahlefeldt Laurvig (in purple) and Désirée Jesben (in pink). 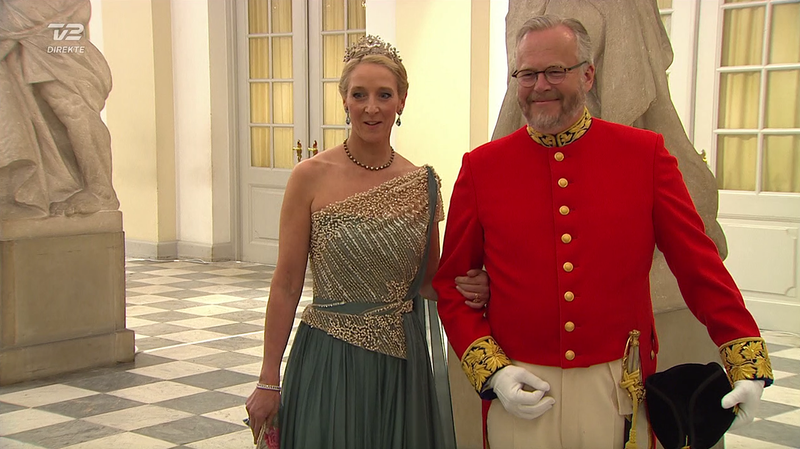 Rose Gad & Holger Foss. 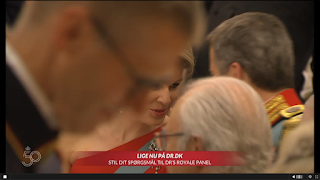 Former Danish PM Helle Thorning-Smidt & Stephen Kinnock. Public Health Minister, Ellen Thrane Nørby. 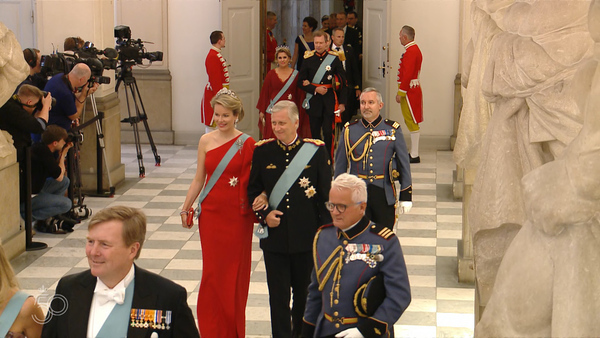 Ellen Hillingsø & Christoffer Castenskiold. 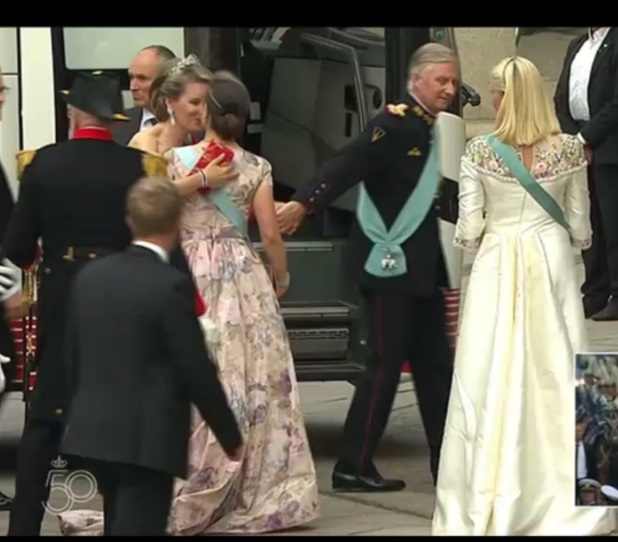 Meanwhile, the royal guests had arrived by bus. 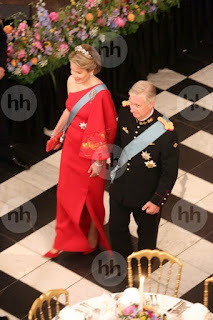 Prince Charles & princess Camilla de Bourbon-Deux Siciles. Prince Nikolai of Denmark with his father, prince Joachim & princess Marie. 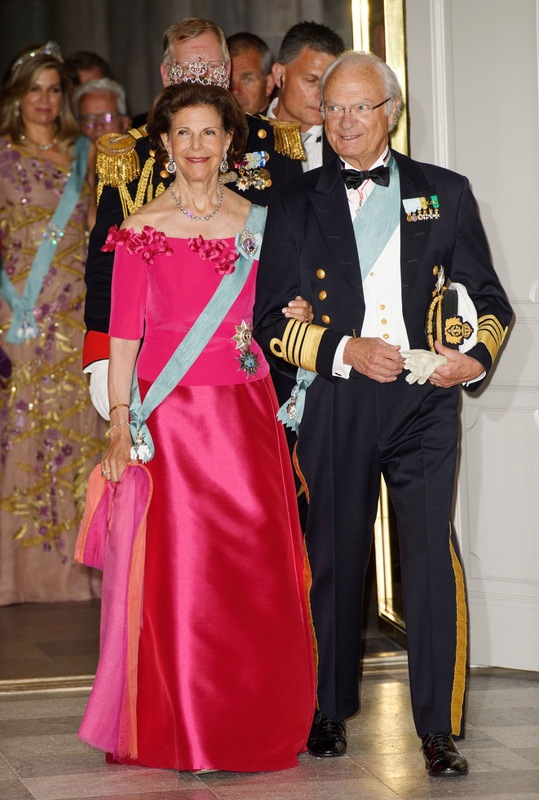 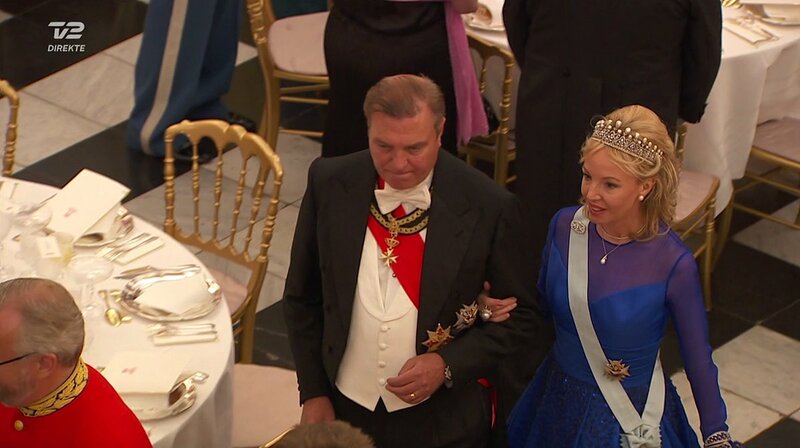 Count Ingolf & countess Susie av Rosenborg. 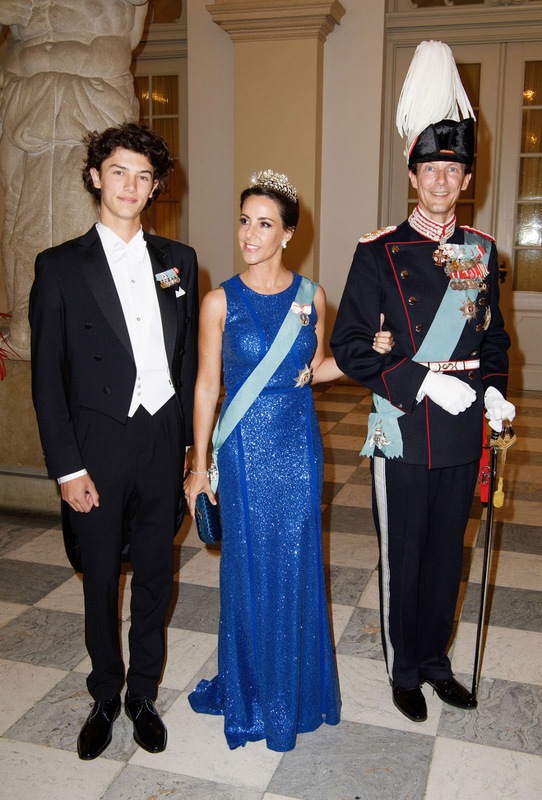 Prince Gustav von Wittgenstein-Berleburg & Mary's sister, Patricia Bailey. 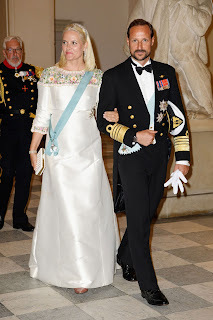 Crown prince Haakon & princess Mette-Marit of Norway. 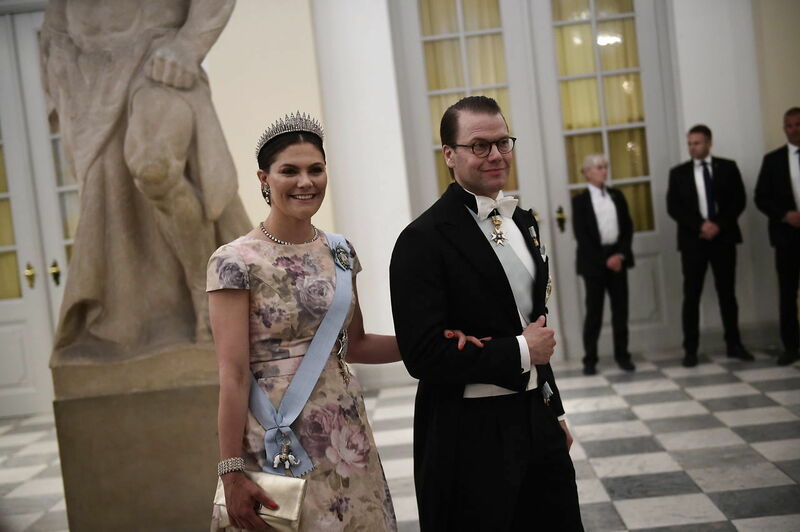 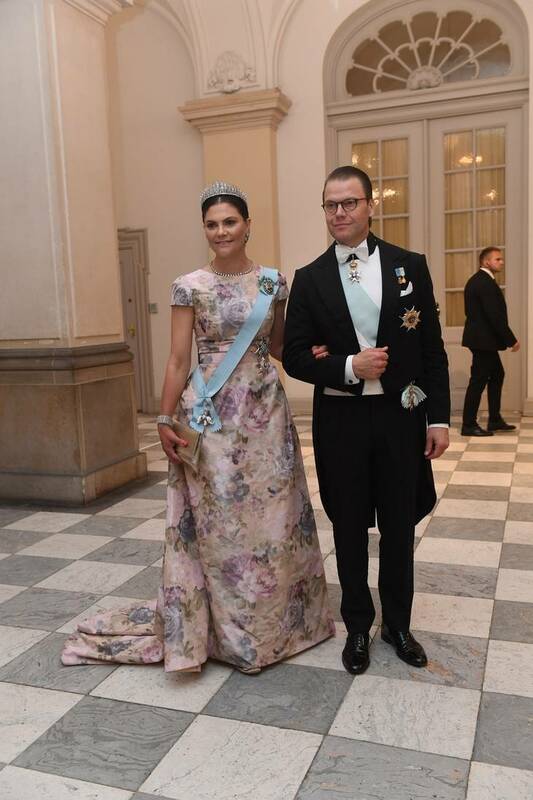 Crown princess Victoria & prince Daniel of Sweden. 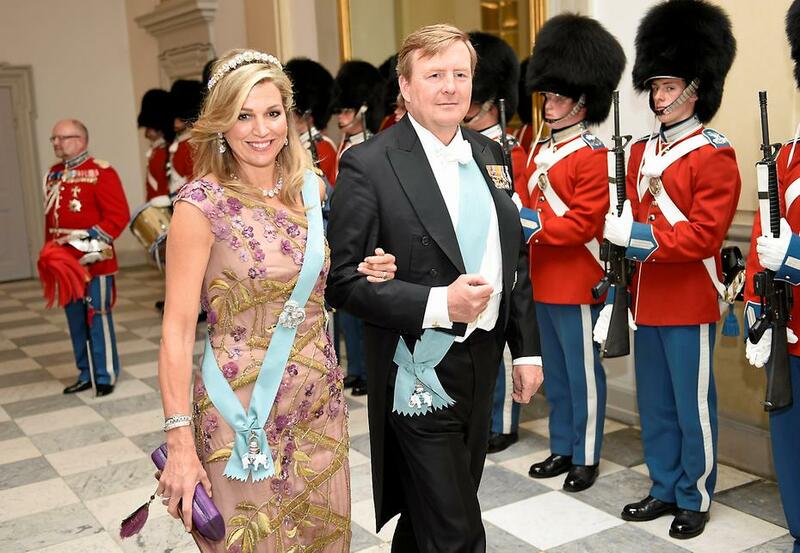 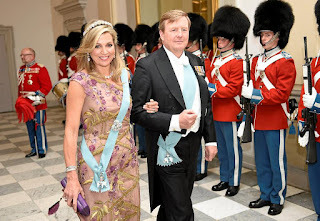 King Willem-Alexander & queen Maxima of Holland. 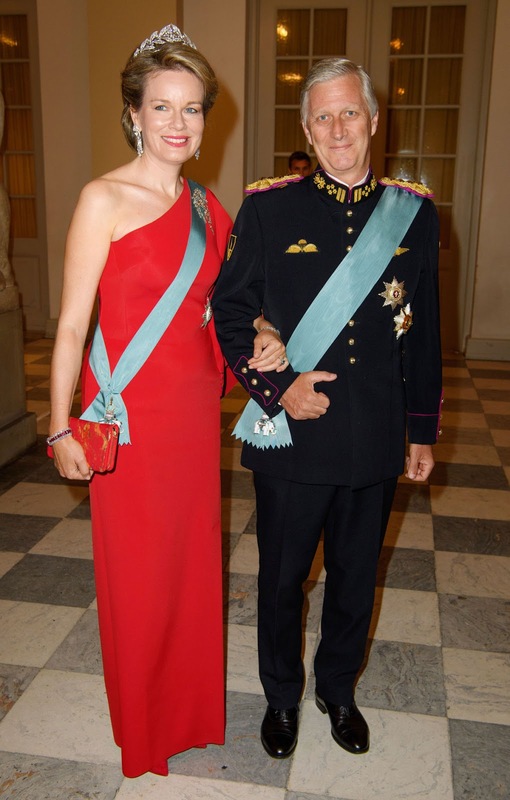 Prince Pavlos & princess Marie Chantal of Greece. Dethroned king Constantine & queen Anne Marie of Greece. Princess Theodora of Greece, princess Maria Olympia & prince Constantinos of Greece. 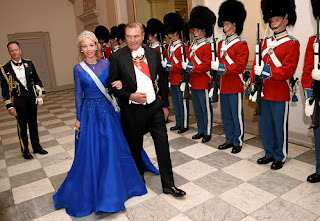 Princess Alexandra von Wittgenstein-Berleburg & her boyfriend, count Michael Ahlefeldt-Laurvig. 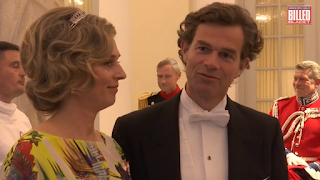 Prince Alois & princess Sophie of Liechtenstein. 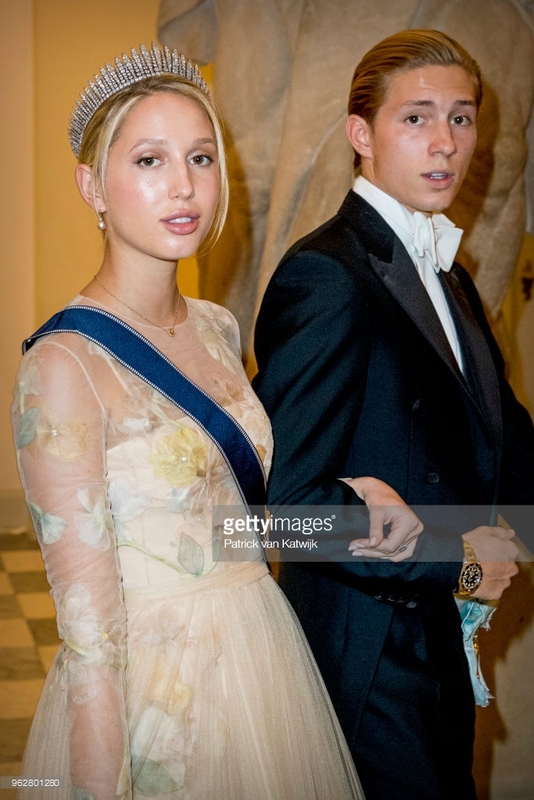 Princess Maria Olympia of Greece & her Danish cousin, prince Nikolai. 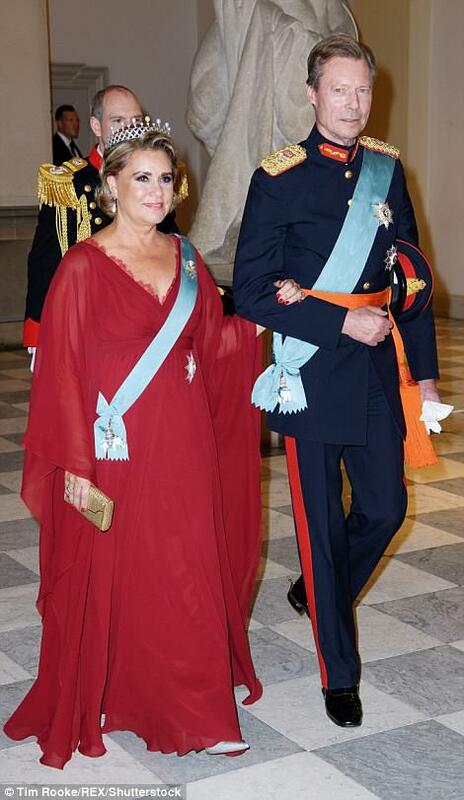 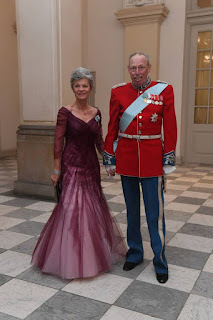 Grand duke Henri & grand duchess Maria Teresa of Luxembourg. 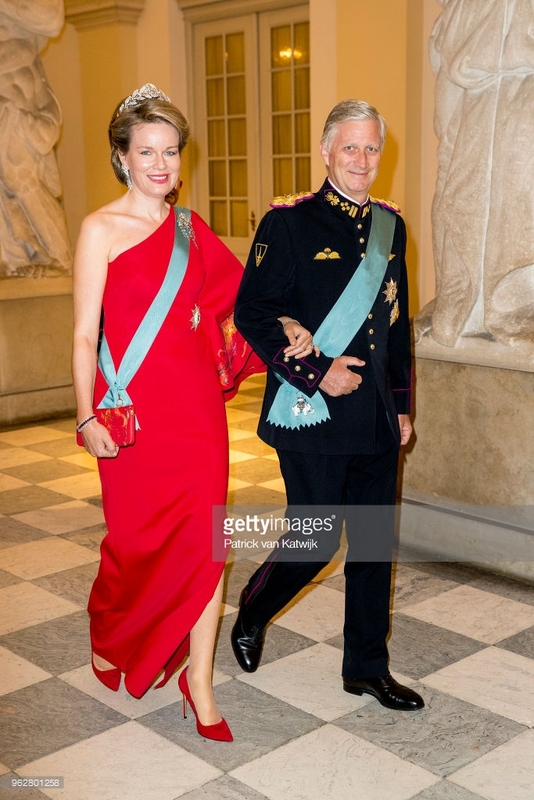 King Philippe & queen Mathilde of the Belgians. 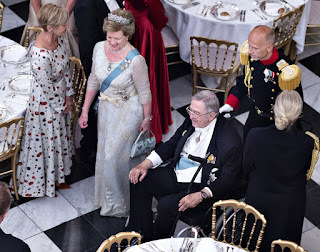 King Carl Gustav & queen Sylvia of Sweden. 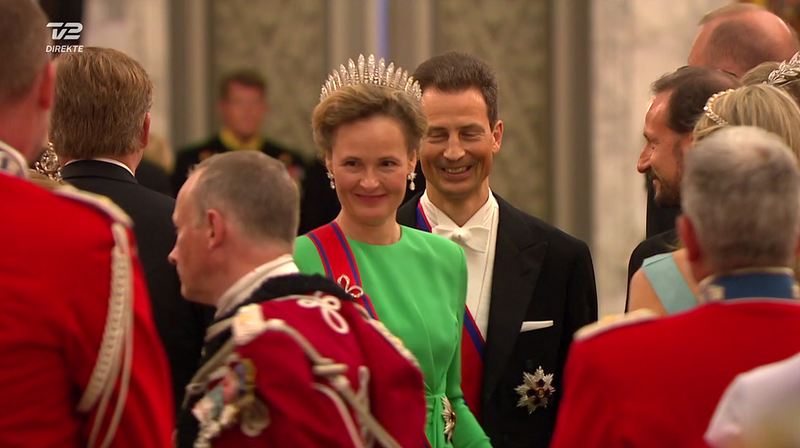 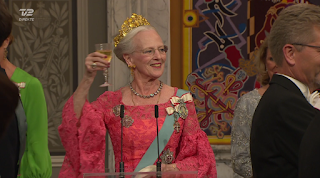 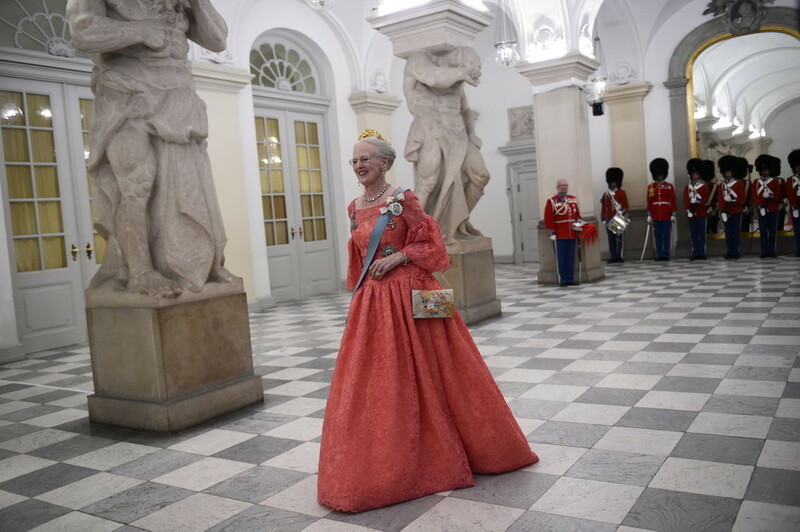 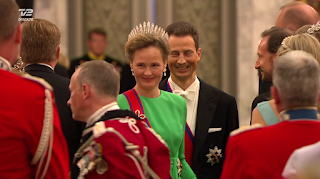 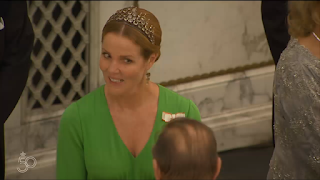 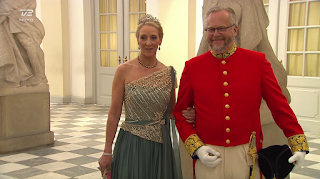 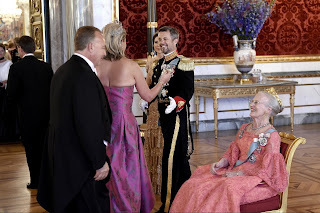 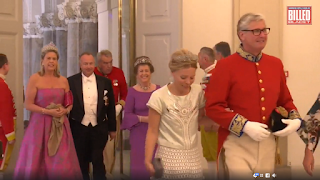 Queen Margrethe II welcomed her son and daughter-in-law at Christiansborg's Drabanthall. During the gala dinner, Mathilde had a place of honour next to the birthday boy. 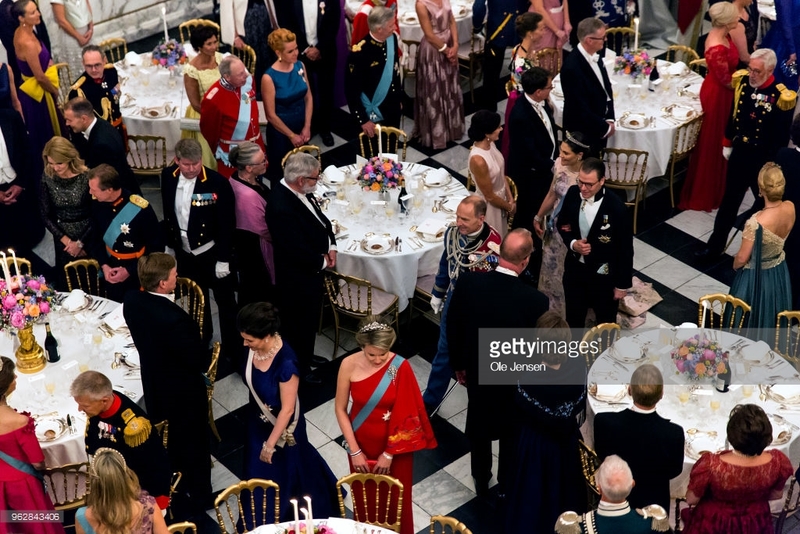 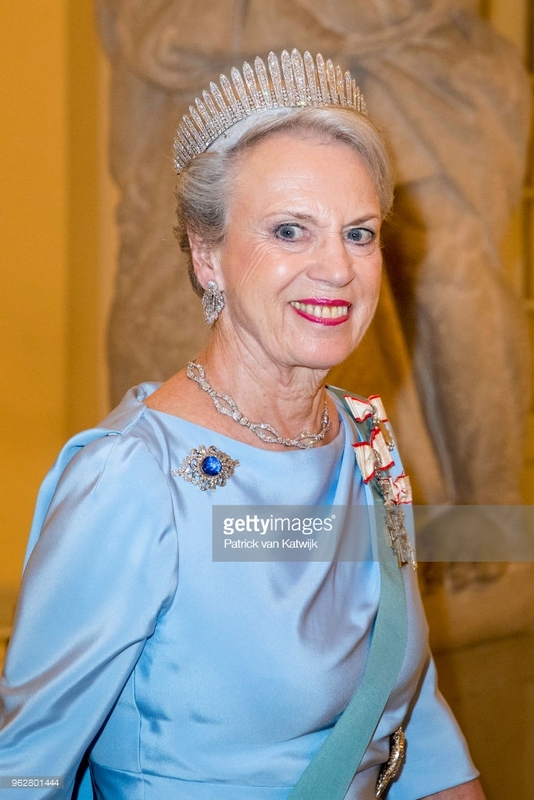 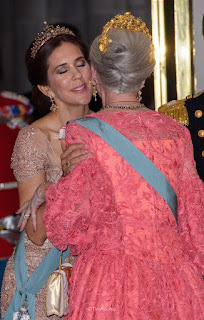 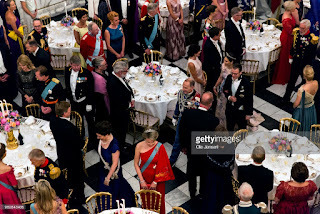 King Philippe was seated with queen Anne Marie of Greece and Mary's sister, Patricia Bailey. 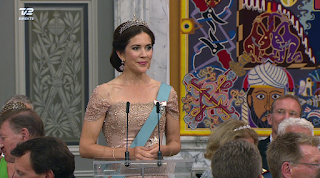 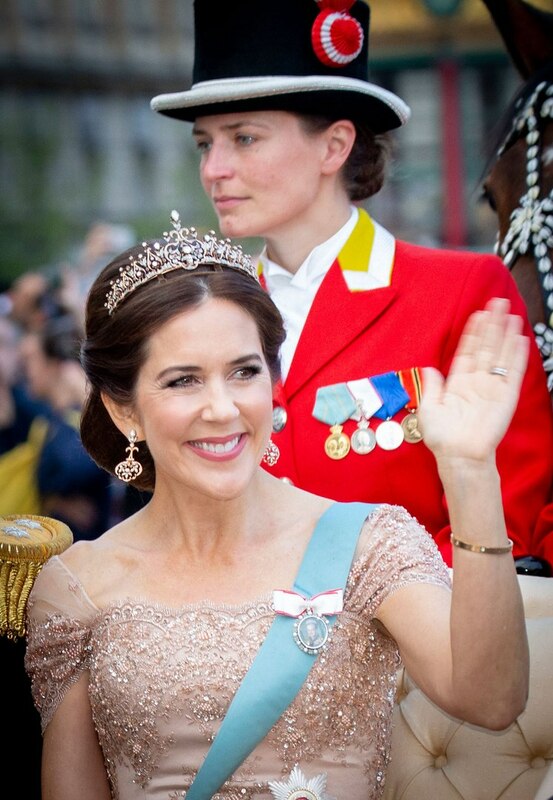 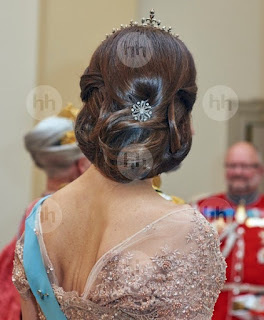 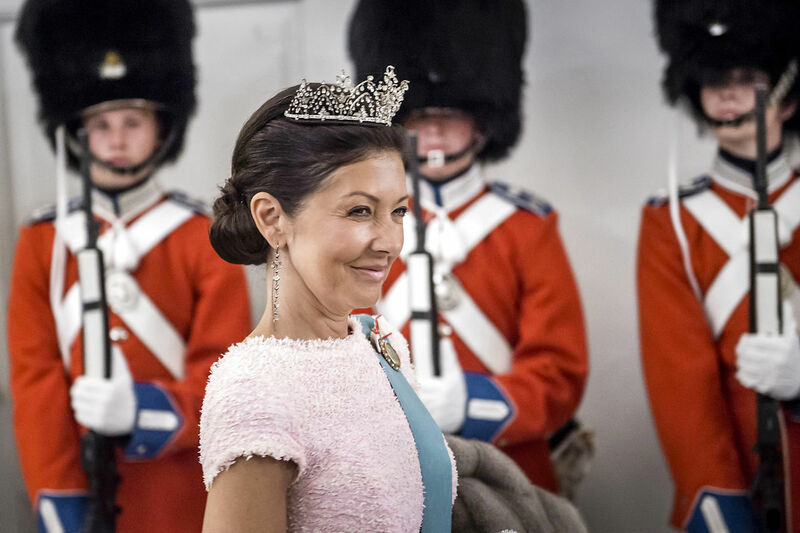 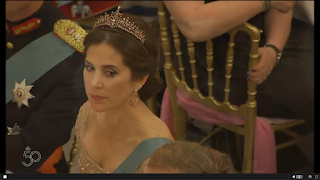 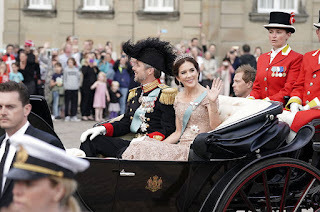 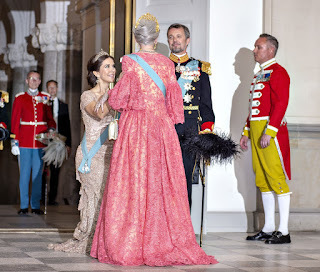 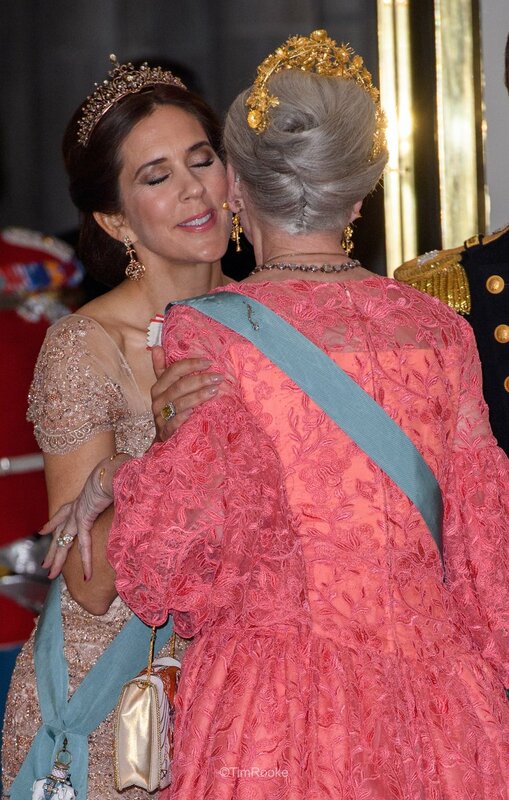 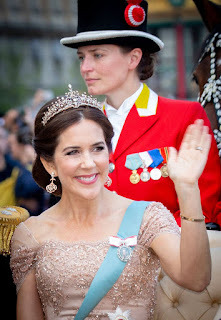 After a speech by queen Margrethe II and one by PM Lars Lokke Rasmussen, it was crown princess Mary's turn. 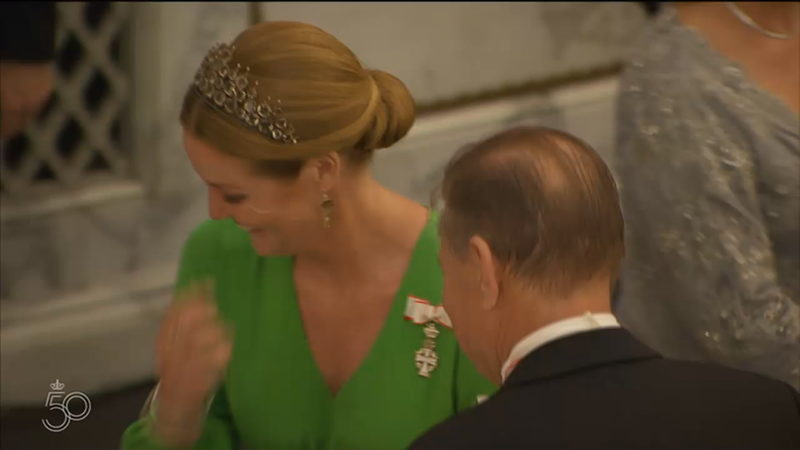 It was the first time she gave a speech to a family member in public. 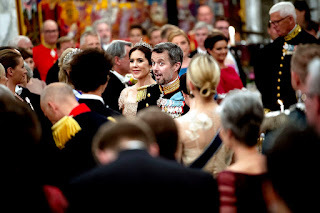 I pondered this over many times as this day approached. 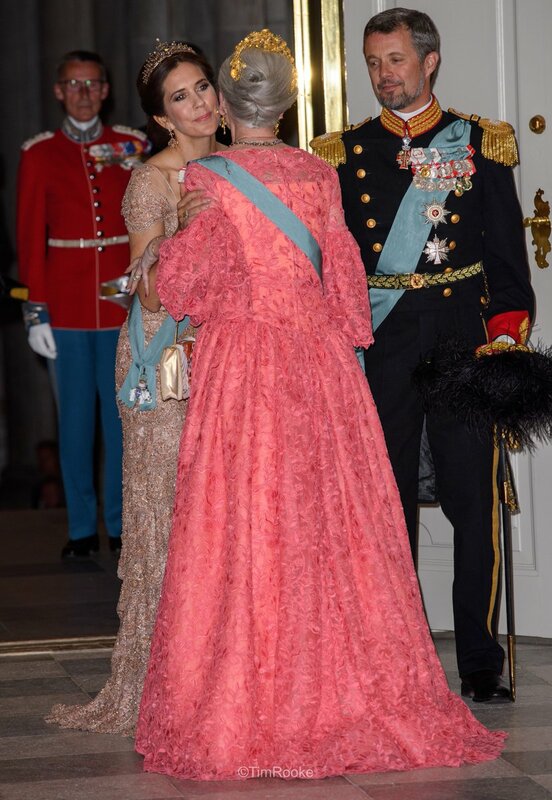 You are a person of many dimensions. 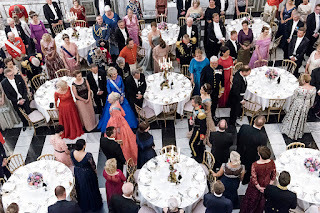 Complex and straightforward at the same time. 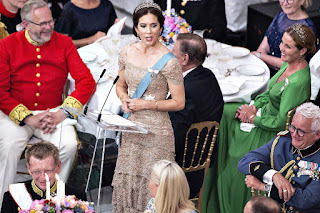 You come in many guises so to speak. You are in constant movement. 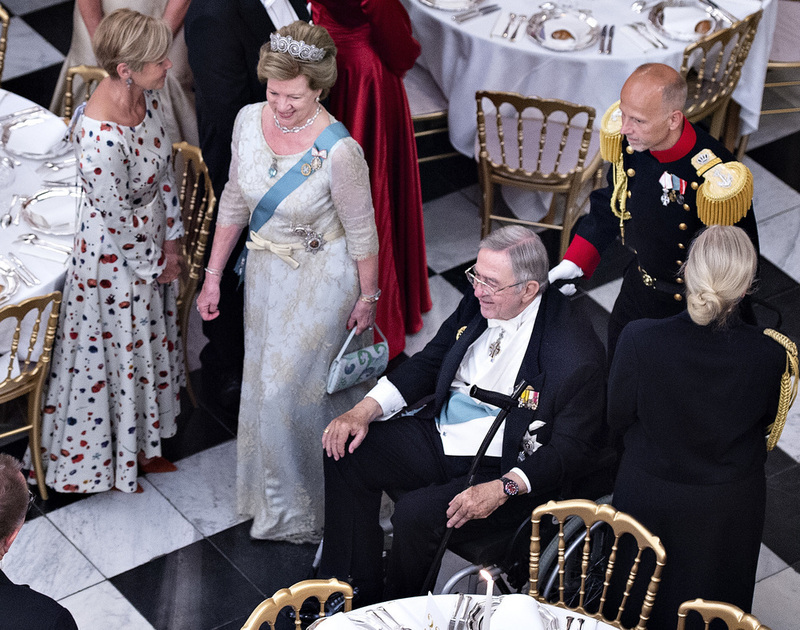 Nevertheless, you stand firm. 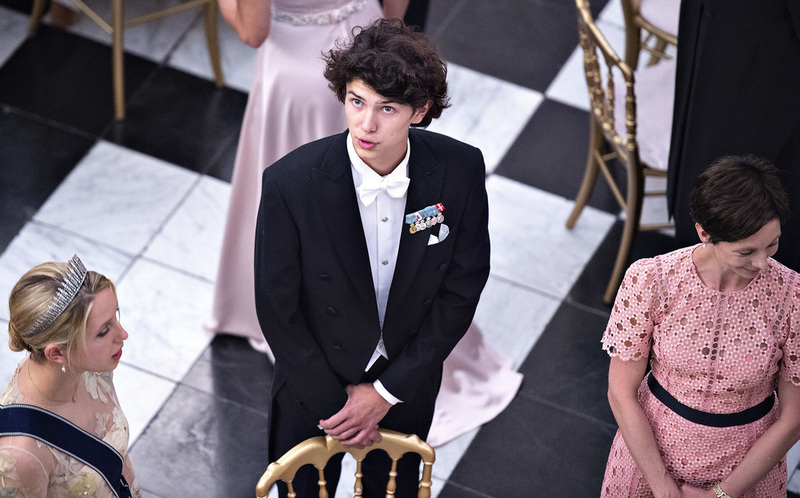 Because in touch with the constant movement, you, most of all are a person who truly knows himself. You are yourself. 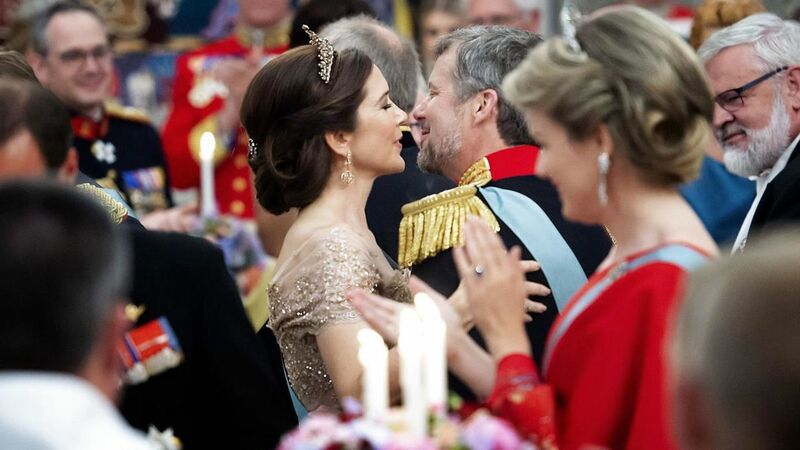 And therein lies the strength that binds everything together. You have always pushed the boundaries and you have insisted on shaping the world around you to fit to the person you are, and you have not allowed the structures in that world to define you. Your passion has been your compass. You have lived by your father’s approach to life: in the unconventional and in the surprising there is often a hidden treasure. You meet people with directness and an openness that gives you access to their hearts and minds in an extraordinary manner. 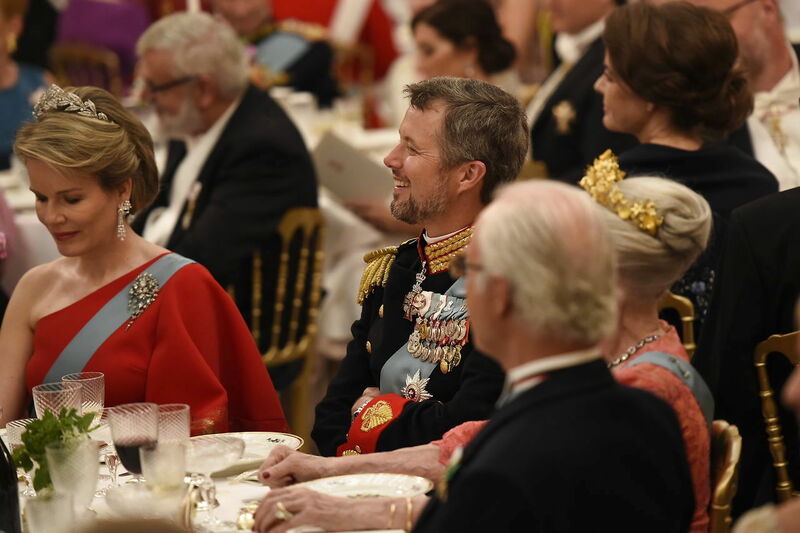 Your impact on people is unique. 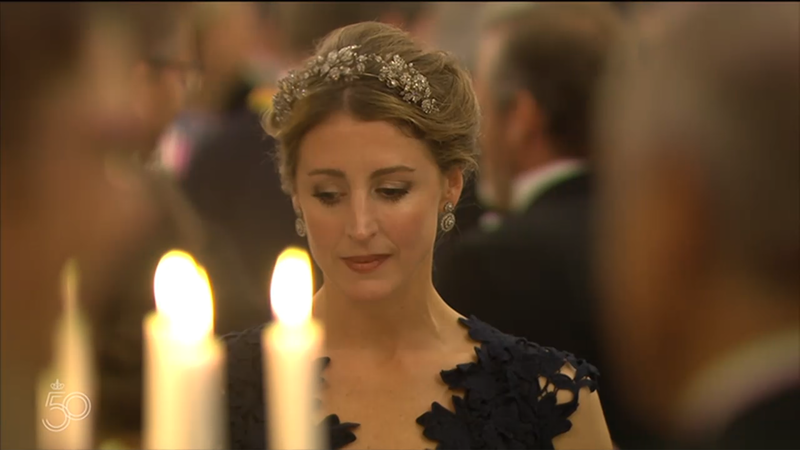 And I really don’t think that you realise that you have this gift. 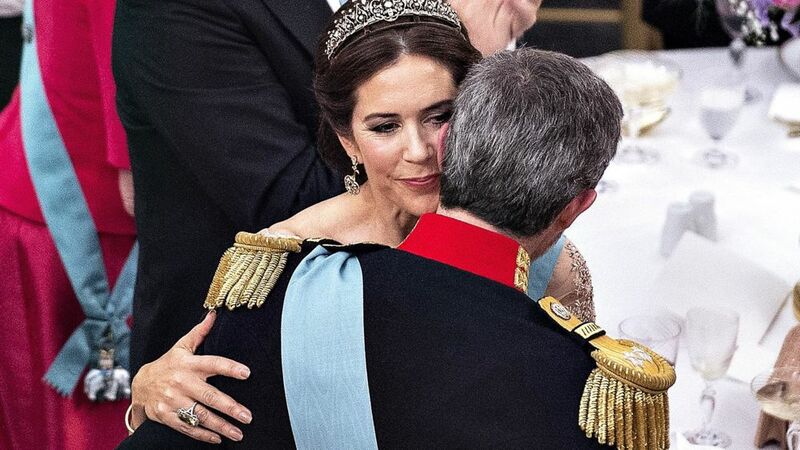 With these words you invited me into your world and the world of the Danes, after we had only known each other for a short time. 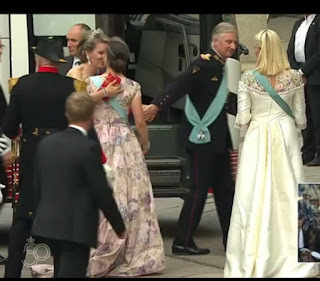 And there were, indeed, many unsure steps when we started our common journey, side by side and separated at the same time. 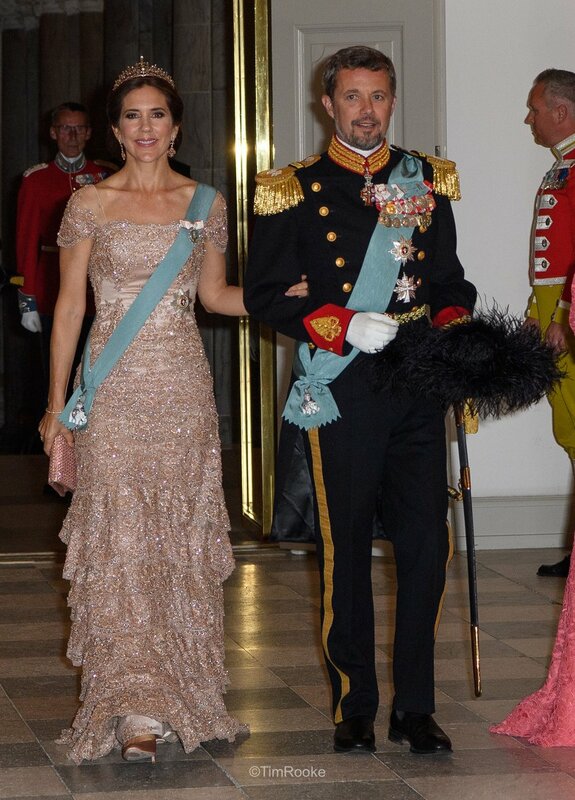 I do, however, find it a bit difficult when it comes to the combination of lycra, helmet and roller skis. 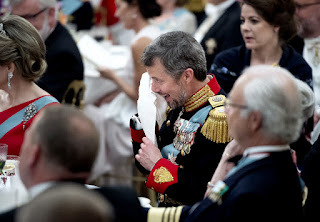 And when you and your teammates for your first Vassaloppet decided to participate wearing white lycra … To be brutally honest… it simply didn’t work. 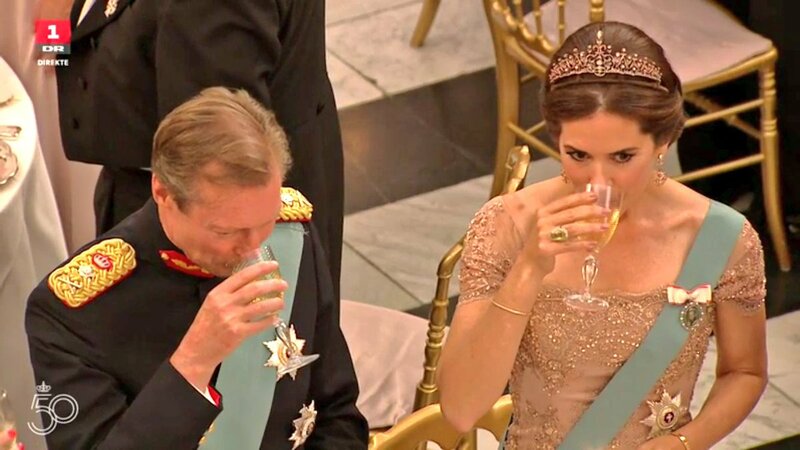 You find great satisfaction in pushing your physical and mental limits. You live by the motto “It is the will to want, that fosters the ability to do", and you have passed that on to me and our children: the conviction that we can, if we want to – no matter the expectations. 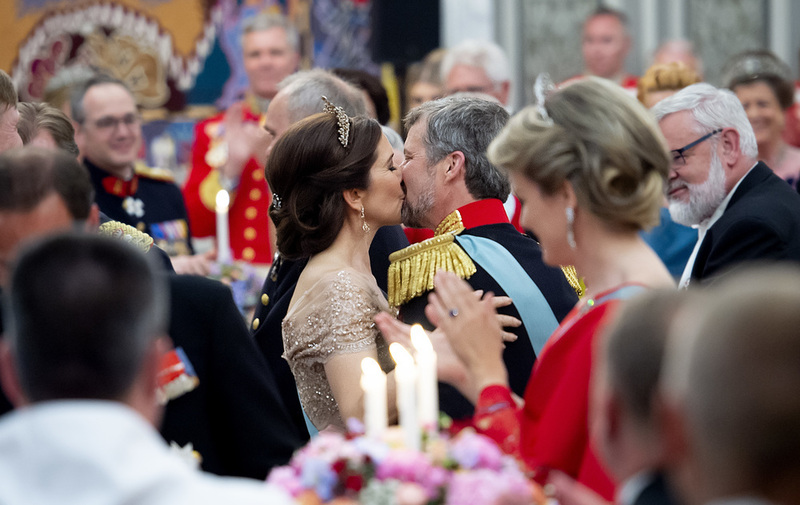 It was during my first visit to Denmark where we had celebrated our first New Year together. 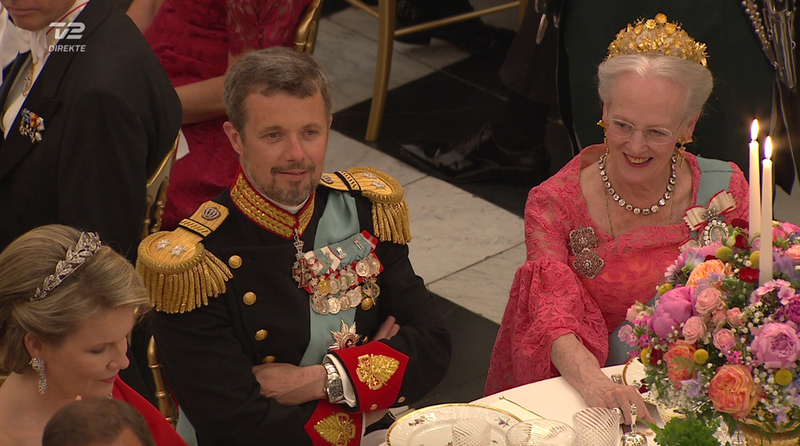 I was sitting in the couch in your living room when you said that you should get ready for dinner, a dinner that is always held on the 1st of January. And that’s the way you are. 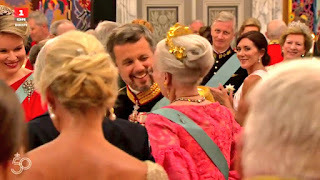 You have found the roots of your being by making a diversion from your Childhood Street (Barndoms Gade - a Danish song and novel) – by going your own way. You are a determined person. 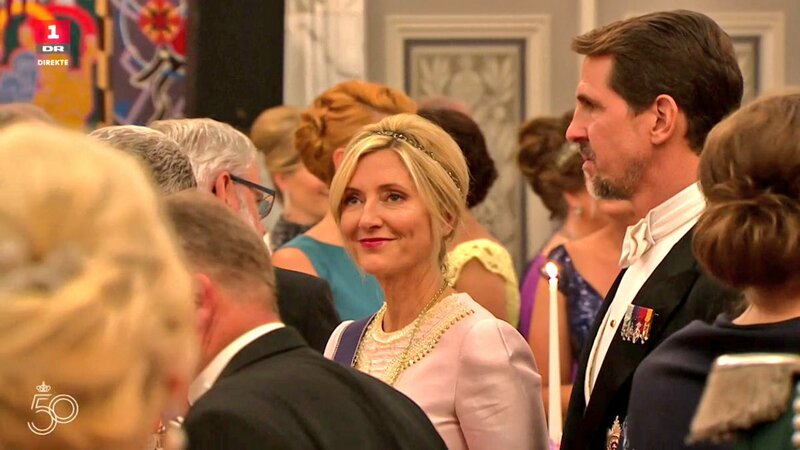 You go after what you set your sights on. 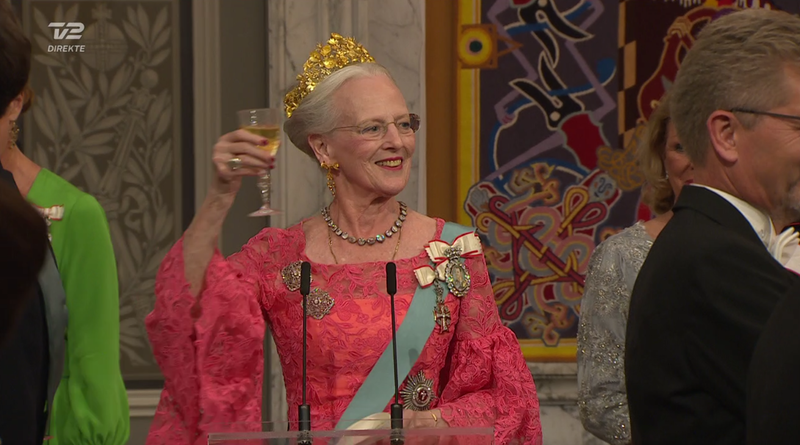 And you usually succeed. 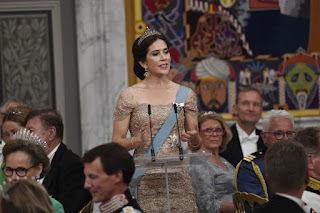 I started my speech by asking: How does one capture a person like you in words? 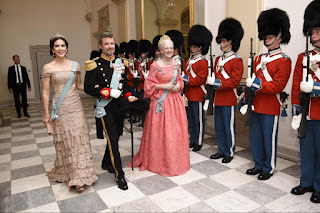 The answer is: You simply cannot. 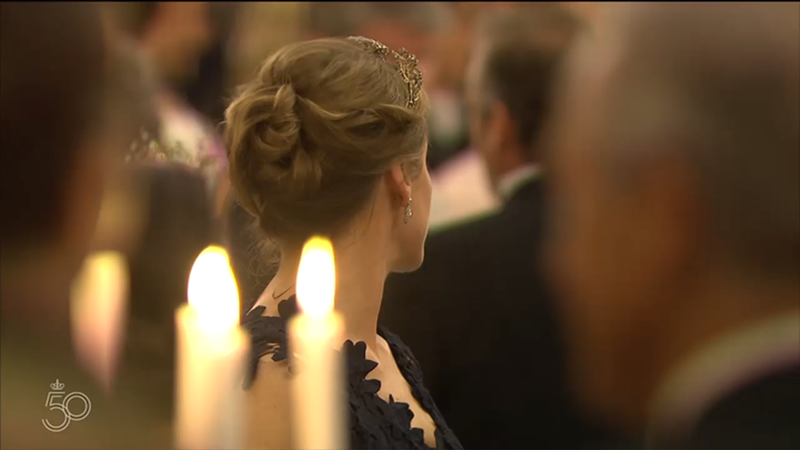 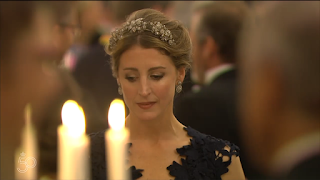 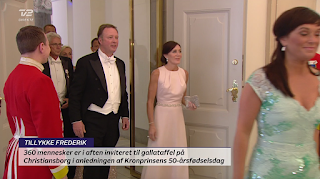 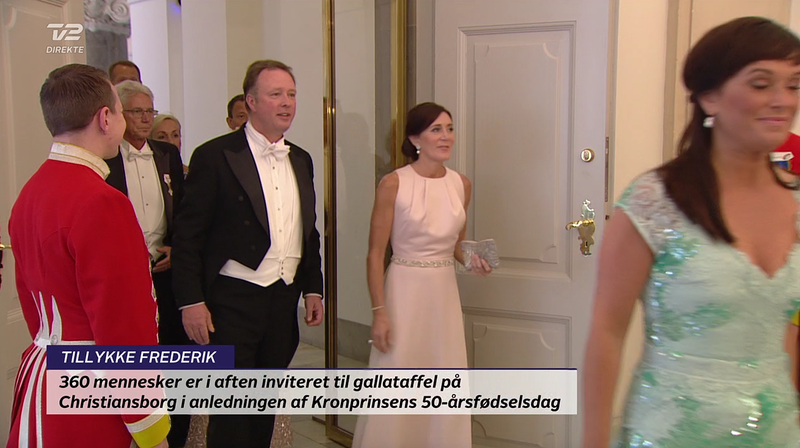 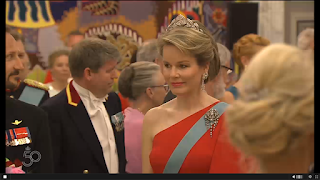 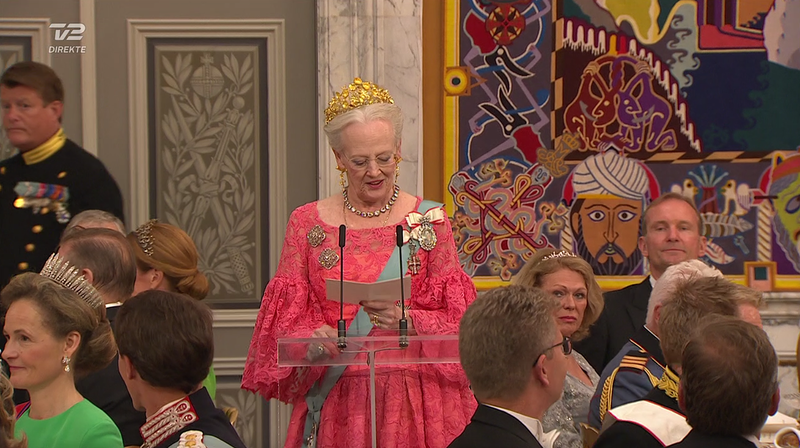 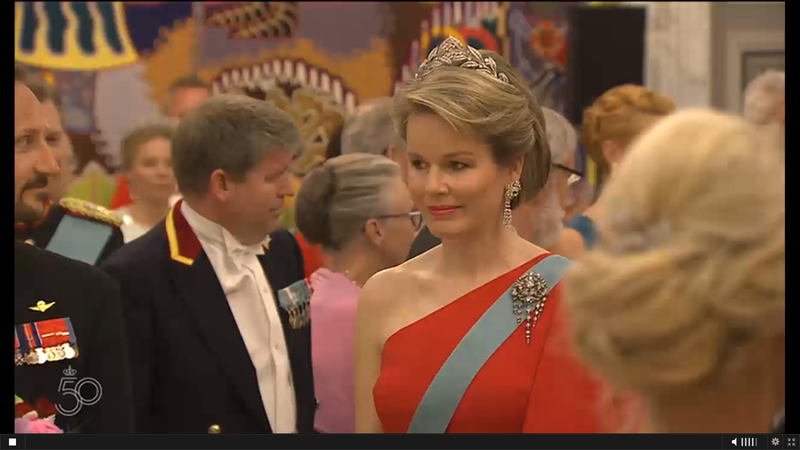 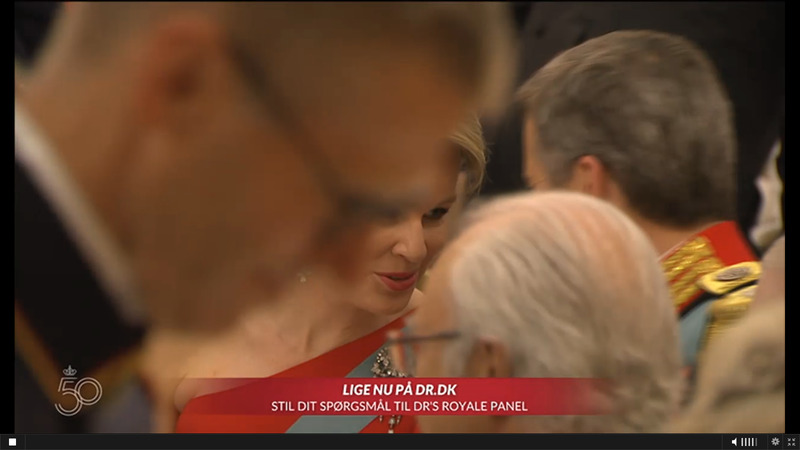 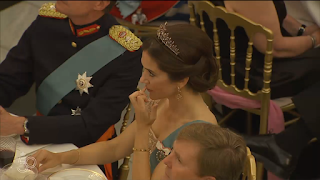 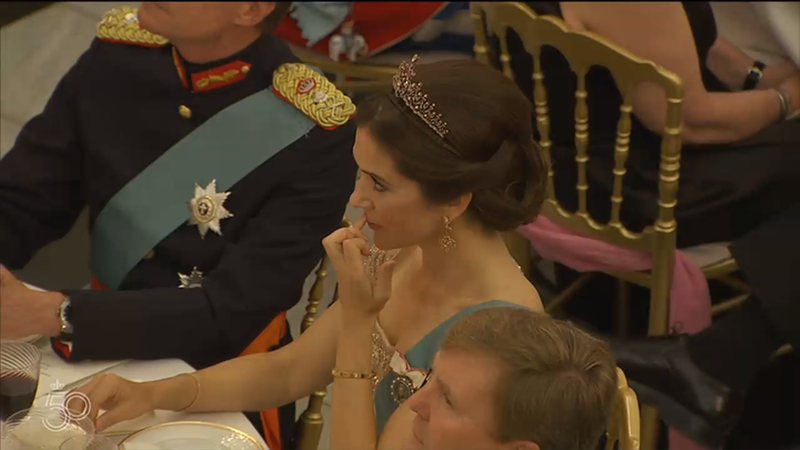 The arrival of the guests and the speeches were broadcast live on Danish TV, as is custom. The rest of the evening was private.